Salesian missionaries in Zambia are responding to the urgent needs of children in crisis. The HIV/AIDS epidemic has taken a devastating toll on Zambia’s children. There are 1.2 million children classified as orphaned and vulnerable by UNICEF, and these children struggle to find education, basic services and hope for their future. Over the past three decades, incomes in Zambia have fallen steadily. Poverty is widespread with 64 percent of the total population living below the poverty line and rising to 80 percent in rural areas. These families do not have adequate income to meet their basic food requirements. In Zambia, nearly 20,000 homes are headed by children who have lost their parents in the HIV/AIDS epidemic. These young innocent victims are desperate for adult support as well as the basics that all children deserve. 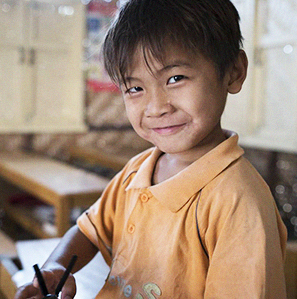 For these children, a chance to go to school opens a world of possibilities. The Salesian-run City of Hope was established to meet the needs of youth and their families living in the most severe poverty in Lusaka. The vast majority of children attending City of Hope programs are those who have been abused, live on the streets or are victims of child trafficking. Currently, there are more than 800 students enrolled in the City of Hope’s Open Community School which serves those suffering from malnutrition, lack of education and family deprivation. Basic education is offered to youth between the ages of 9 and 17. Primary school classes make up the first four years after which students take the government’s grade seven examinations. Most City of Hope students do not have the opportunity to attend other schools because of a lack of financial means. The City of Hope also offers a shelter that is home to at-risk girls referred through the social welfare system, the police and other institutions and organizations. Many have been orphaned and have nowhere else to go. There are currently 36 girls who live at the shelter ranging in age from 7 to 22 years. The shelter is not an orphanage but rather a safe place for girls to stay while they gain an education and make the transition either to living with family or to a more independent life. To date, more than 150 girls have received services through the City of Hope’s shelter. In addition, young children in the village of Lufubu will have a new Salesian Early Childhood Education Center thanks to Salesian Missions donors. Many preschool children in the village are left unattended during the day and roam around aimlessly. The Early Childhood Education Center will provide a safe, healthy learning environment for more than 100 preschool aged children. Donor funding is supporting the renovation of two existing classrooms and equipping them with age-appropriate furniture, supplies and learning materials to provide a strong foundation for future education. Early preschool education provides the opportunity for these young children to access a school environment and learn early education fundamentals before primary school starts. 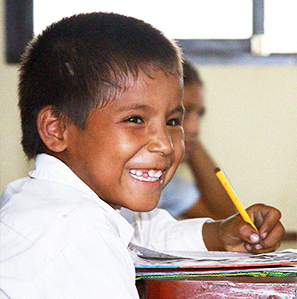 Providing a better education to students includes providing the best support and training possible for teachers. In Zambia, the Don Bosco Secondary School helped launch the innovative fast track teacher-training program, in collaboration with St. Eugene University and the Zambia Ministry of Education. Through this program, the Ministry of Education is upgrading the knowledge and certification of some 2,000 teachers as a way of improving education standards in the country. In order to address the shortage of qualified teachers in schools, the teacher-training program will enable teachers on government sponsorship to upgrade from certificate to diploma and from diploma to degree level. St. Eugene University will provide the advanced degree education to teachers, many who are graduating from Salesian schools. Access to education and well-qualified teachers are critical to help youth learn job skills, improve their lives and find a path out of poverty. Donors are giving children in Zambia their first opportunity to access education, use colored pencils, paint or play with a ball through the Distance Adoption program, which provides sponsorship for children to go to school. Since 1982, Salesian missionaries have been working with poor youth and their families in Kazembe, where many families have no money for food and are unable to pay the monthly fees or buy uniforms for their children to go to school. Thanks to donors, these children now have the opportunity to learn to read and write, learn English and gain the skills needed to help them reach their full potential. Josephine is just one example of a child helped through this Distance Adoption program. Now living with her parents and siblings, she had at one point been sold by her parents for $30. In Zambia, parents who sell their children may live in extreme poverty and feel like they have little choice. With the support of the Distance Adoption program, Josephine now has the ability to continue school. Although she lives close to an hour away from the Salesian House and must walk to and from school, she always arrives eager and ready to learn. Youth and their families living in the most severe poverty in Lusaka can find a new beginning at the City of Hope. The vast majority of children attending City of Hope programs have been abused, lived on the streets or are victims of child trafficking. One program is the City of Hope’s Open Community School. For the more than 800 students enrolled, the school provides an opportunity to get an education they could not afford anywhere else. The school serves vulnerable students suffering from malnutrition, lack of education and family deprivation. Basic education is offered to youth between the ages of 9 and 17. Primary school classes make up the first four years after which students take the government’s grade seven examinations. The City of Hope offers a shelter that is home to at-risk girls to stay while they gain an education and make the transition either to living with family or to a more independent life. To date, more than 150 girls have received services through the City of Hope’s shelter. Many have been orphaned and have nowhere else to go, and have been referred through the social welfare system, the police and other institutions and organizations. Through the City of Hope, these girls and young women are able to lay a foundation for a better future. The healing power of play came to more than 140,000 youth in Salesian programs through a donation from One World Fútbol. The organization’s donation of 5,200 nearly indestructible soccer balls benefited youth at Salesian orphanages, youth centers, schools (particularly those in rural areas) and some nursery schools and kindergartens. The generous donation created new opportunities for teaching valuable skills to youth both on and off the field. Recreation and sports activities offer unlimited opportunities for growth by simultaneously developing leadership, teamwork and social skills. In addition, Salesians in Zambia formed partnerships with local organizations such as the International Training Center, Olympic Youth Center and the Kasisi and Makeni Orphanages. The donation was shared with the poor youth in these programs allowing them to expand their recreation and sports activities and learn more about teamwork. Salesians were also able to share the donation with some of Zambia’s government-run schools. Lack of clean water is an overwhelming obstacle for many communities in Zambia. When safe, drinkable water is in scarce supply, children and youth are forced to spend their time searching for clean water instead of participating in educational activities. In the town of Kazembe, lack of clean water led to a community health crisis due to waterborne diseases and safety issues as community members were attacked by crocodiles when they went to the river for water. Now, thanks to a life-changing water well in Kazembe, youth and their families have access to fresh, clean water, along with more opportunity. Students are able to fully take part in educational programs and other recreational programs provided at the youth center. There has also been a decrease in waterborne illnesses within the community. The water project included digging a borehole 50 meters deep followed by the installation of a water pump. After that the tank and tank stand were completed. Twelve students at the Salesian school assisted with digging and laying the water pipes around the church grounds. Students were able to apply some of the skills they learned in the classroom and gained hands-on experience. UN-Water estimates that worldwide 768 million people lack access to improved water sources and 2.5 billion people have no improved sanitation. For those who have no access to clean water, water-related disease is common with more than 840,000 people dying each year from water-related diseases. Women and children often bear the primary responsibility for water collection in the majority of households and globally spend 140 million hours a day collecting water. Hunger is a daily reality for many children in Zambia, with 65 percent of women in female headed households choosing to reduce the number of family meals per day as their only coping mechanism for poverty, according to The Living Conditions Monitoring Survey cited by UNICEF. UNICEF also notes that the continued deprivation of nutritious food increases the likelihood children in these households will suffer from physical and cognitive impairment. Critical Salesian-run feeding programs help at-risk youth, the elderly and those who are sick receive better nutrition with fortified rice-meals. The meals are provided through an ongoing partnership between Salesian Missions and Rise Against Hunger, an international relief organization that provides food and life‐changing aid to the world’s most vulnerable. The Salesian-run City of Hope feeds between 4,000 and 5,000 children a day. For some students, the meals they receive at the City of Hope centers are the only meals they have each day. The food aid also gives a powerful incentive for families to send their children to school. Without the donation, the City of Hope would be forced to cut back its important feeding program to offer meals only three times per week. Salesian missionaries also develop farms and teach agriculture skills. In the poor, remote community of Lufubu, residents traditionally relied on fishing for sustenance. But when the lakes became over-fished, the government of Zambia looked to the Salesian missionaries to help combat hunger while preserving the environment. Salesian missionaries responded by starting an agricultural school. Boarding students from neighboring villages come and learn agricultural techniques to take back to enhance nutritional levels in their home communities. The school has a working farm on which the students can engage in practical exercises. Looking to the future, Salesian missionaries hope to transform the curriculum and educational experience of the students with Internet access that could also provide online access to the entire community.